Iso Acoustics GAIA series Isolators now on demonstration and available for home loan! Iso Acoustics GAIA series Isolators are now on demonstration and available for home loan! 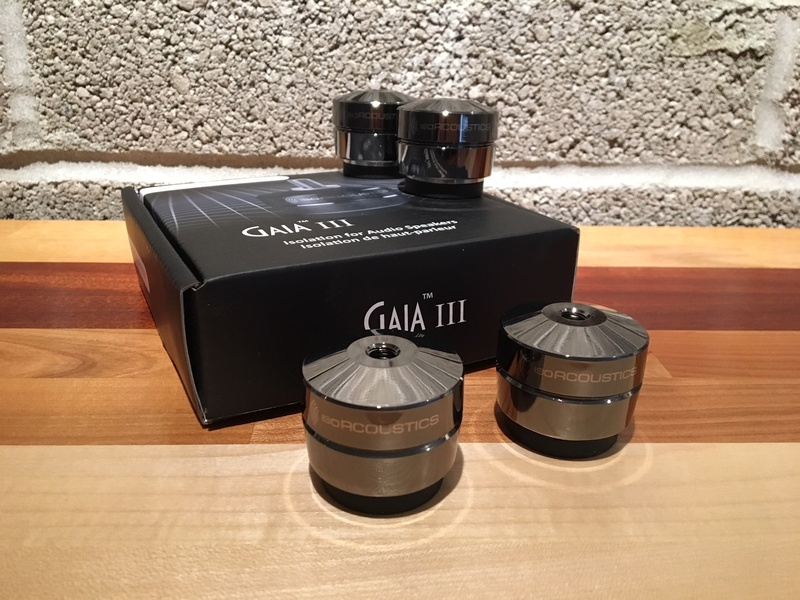 The GAIA isolators are machined units that incorporate IsoAcoustics’ patented design to provide a high degree of speaker isolation, while resisting lateral movement and oscillations, to maintain alignment with the listening position. Internal reflections from the hard-supporting surface are attenuated resulting in greater sound clarity and openness. There are three GAIA models tuned and optimized for each weight range of loudspeaker.